Fans of craft beer and baseball can celebrate – Orange Splash Lager™, the limited edition collaboration between Anchor Brewing Company and the San Francisco Giants, is now available in cans. First released in the fall of 2015 exclusively on draught, Orange Splash Lager is the first ever Major League Baseball and craft beer collaboration. 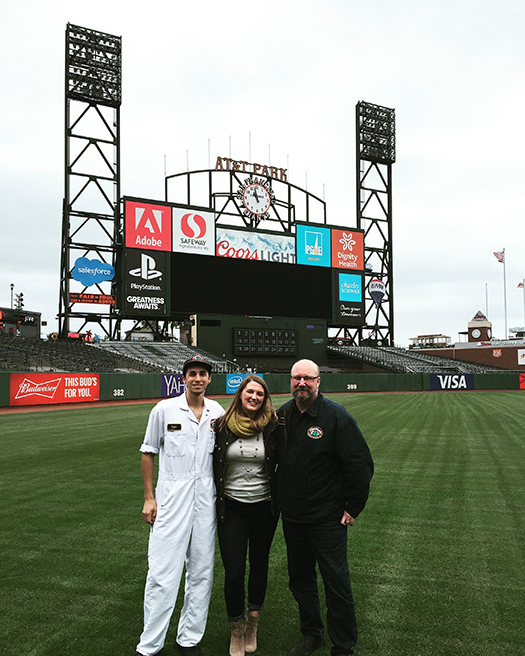 It’s no surprise – baseball and San Francisco have gone together for a century, with Anchor Brewing and the Giants leading the way. Orange Splash Lager is both inspired by a team and created through teamwork. Anchor Brewing and San Francisco Giants employees helped name the beer in a contest ultimately won by Anchor employee Thomas Gilbert, who created the name Orange Splash Lager. The Giants’ design team led the way in developing the product look, enjoying the challenge to apply their talents to more than the usual bobble-heads and jerseys, with Anchor input and support. To give you an insider’s view on this brew, here’s a Q&A from Anchor’s Brewmaster Scott Ungermann. Q: What are some benefits or challenges that a brewer encounters when using oranges? A: Oranges smell great. Especially the peels, but the peels can also taste astringent & harsh. The beautiful citrus aromas can also be lost to evaporation during the boil, so we have to be careful where & how we add the oranges to make sure we get the right flavors and aromas to present themselves in the beer. Q: What came first, the beer concept and then the name, or the name and then the beer concept? A: The beer concept came first. We knew we wanted to make an orange beer for the Giants, so we brewed a prototype and tasted it with some folks from the Giants. They gave us feedback on the beer, we adjusted the recipe and brewed another prototype and tasted it again until we got it just where we wanted it. Then we brought that beer to a tasting event for Anchor & Giants employees and had a naming contest for the beer. It was a true collaboration from the start. Q: What was your favorite part about working with the Giants? A: I loved how excited the Giants were about the collaboration. They wanted us to make something that their fans and our fans would all enjoy. That made it fun to work with them. 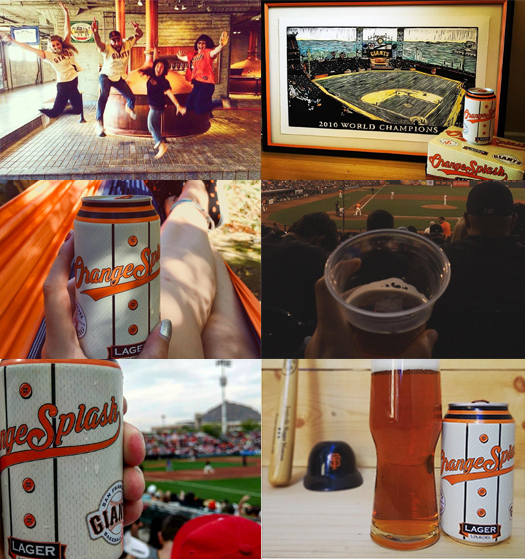 Q: Besides Orange Splash Lager, what’s your favorite beer to drink at a baseball game? A: I always like to have an Anchor Steam Beer at AT&T park – it’s just part of the experience for me. Although last time I was at the park for a game it was fairly warm, so I decided to have a Mango Wheat, and it really hit the spot. You’ll find Orange Splash Lager in cans and on draught at select bars, restaurants, and stores in Northern California, Nevada, and Hawaii, as well as at the Anchor Brewing Taproom and Anchor Brewing Beer Garden at The Yard in San Francisco. Use our handy Anchor Beer Finder to find the beer near you. Cheers to our fans for sharing how they enjoy #OrangeSplashLager. Show us how you #RaiseYourAnchor by tagging @AnchorBrewing on social media.